So this may not qualify as a “recipe” but more of a quick and easy lunch idea. 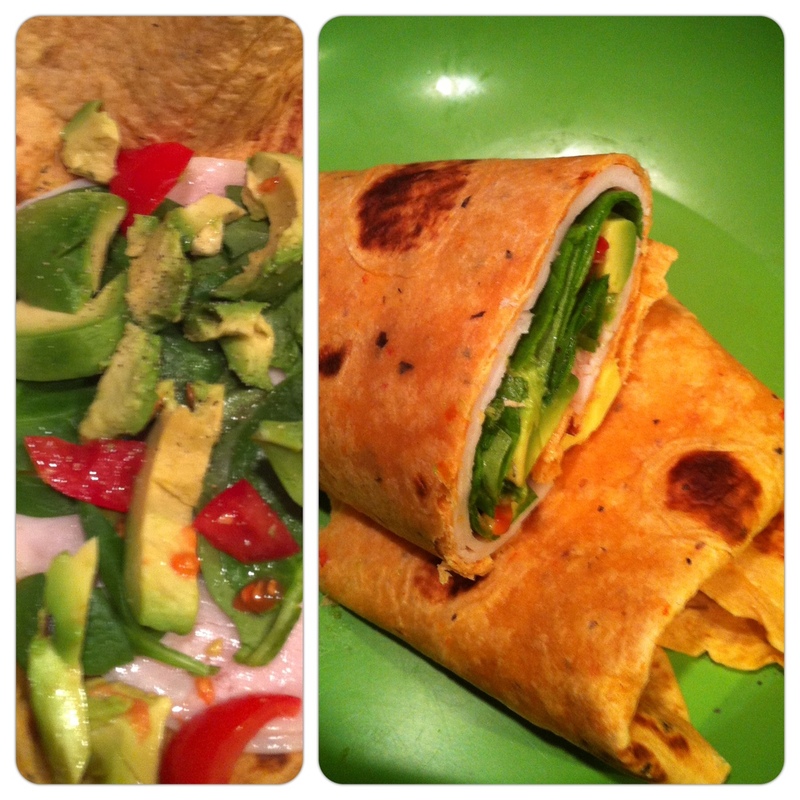 Super simple, just place all the ingredients in the wrap…and fold away! I’m still perfecting the perfect “wrap” but I think I’m getting close. Hope you had a wonderful weekend! I got a lot more done in my garden yesterday and can’t wait to share some photos.